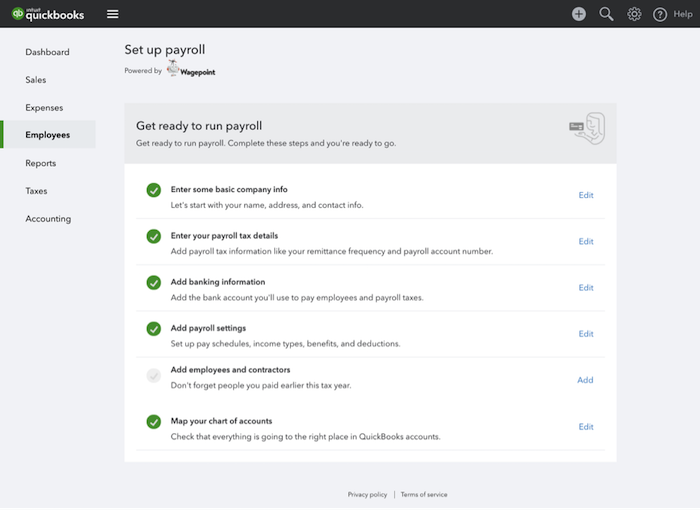 After months of hard work by the Payroll product team, we have launched a revamped and improved onboarding journey for QuickBooks® Online Advanced Payroll! By addressing these pains head on, we have provided the end user with confidence and conviction that they’re safe, compliant and ready to pay employees. Starting off on the wrong foot can lead to a nasty ripple effect of issues, panic and doubt. The Payroll kryptonite! What improvements have we launched? An improved six-step, easy-to-follow sequential workflow. 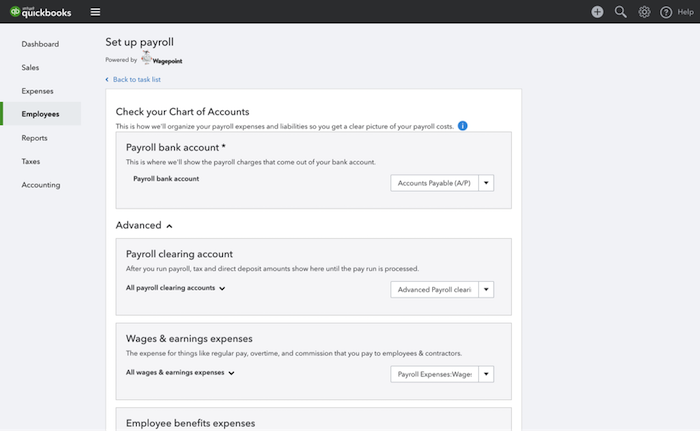 A new user interface reducing the required fields needed to fill out, simplified navigation and clear messaging in service to build confidence when setting up payroll. 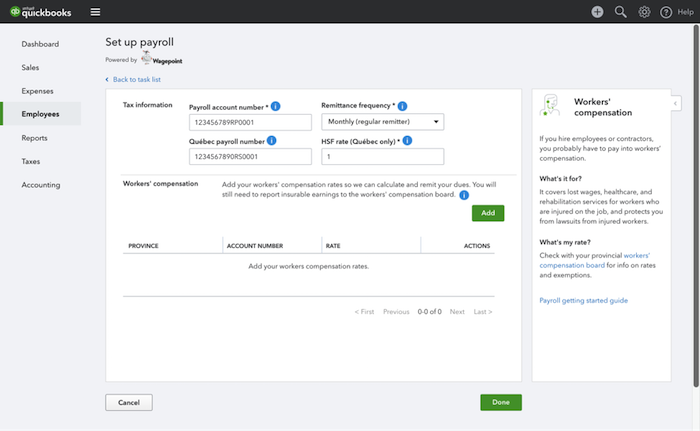 More tool tips to help guide the payroll set up experience. New “Info Panels” to better educate and inform around confusing payroll jargon that’s unknown to most (i.e., remittance frequency, payroll #, health taxes, workers comp, bank routing/transit #’s and chart of accounts). 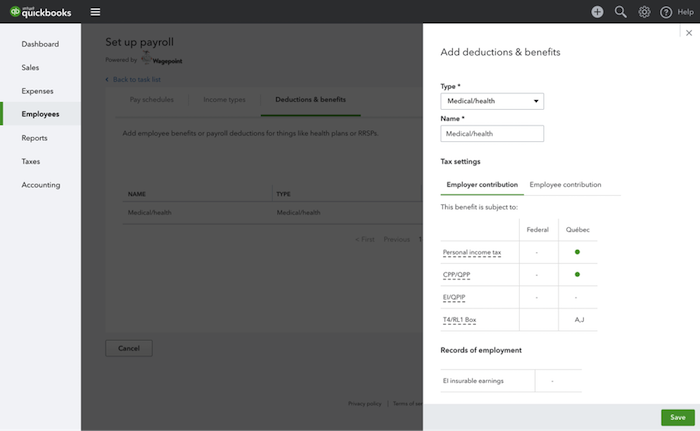 Enhanced view of pay types, benefits, deductions with explicit rules of tax treatment (pensionable, insurable, taxable and ROE settings). Enhanced workflow to request custom income types. The end user now has ability to customize tax rules for their unique type (72-hour SLA). Improved functionality and simplicity for adding employee bank accounts (up to two). Chart of accounts mapping – Went from do it yourself to done for you! Bank match and clear liabilities – Bank match is now possible via a 2nd journal entry being pushed. This also clears appropriate tax liabilities as funds are paid. We believe we’ve cut down the onboarding process from two hours to under 15 minutes! New Dedicated Payroll Onboarding Team! Not only have we improved the in-product onboarding experience, but we also launched a free dedicated onboarding team that will help provide a guided experience. Our onboarding specialists will reach out within 48 hours of signing up for Advanced Payroll to help provide any assistance needed from onboarding and answer any general questions you may have for Advanced Payroll.